We have come to the conclusion that it’s practically impossible to travel to Italy and not go on a wine tasting. 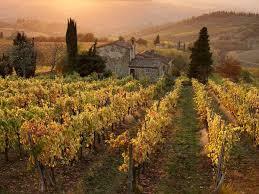 And we may be a little biased given where we live, but it seems to us like Tuscany is the place to be for a wine tasting in the fall. For one thing, the world famous Chianti region boasts some of the best wines in the world, not to mention the breathtaking scenery that is the Tuscan countryside. Lucky for you, there are so many customizable options to create the best wine tasting experience possible, here are just a few that we’ve found. ← What to see in Florence this fall!